This is one of the BEST shmups for Atari! Really, incredible graphics, fast action, great sounds... This game amazed me so much when I saw it for the first time.. This game was developed in Dunedin, New Zealand by Twilight Software (Andrew & Harvey). I should know since I designed the graphics. Red Rat distributed/sold it. 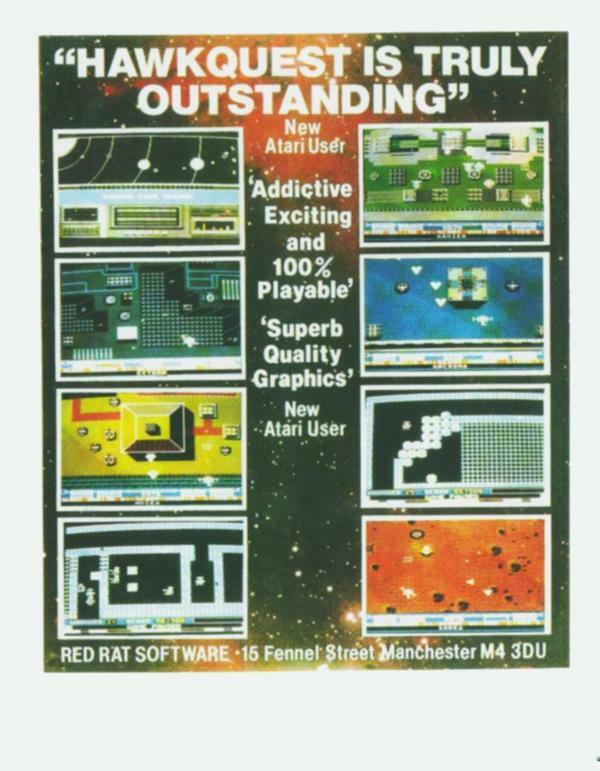 We should have approached Atari UK - but never thought about it.. 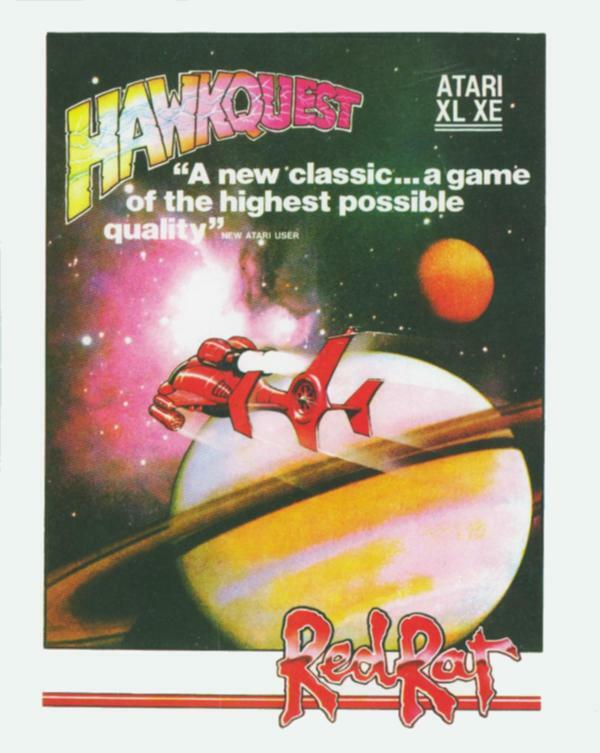 Page 6 previewed it - as a game looking for a publisher - Red Rat was the only one who responded... Now 30 years later on, the landscapes in Hawkquest - now get updated to 2016 in the current project I'm working on. This game was NOT released by Red Rat. It was developed by them but not published. Years later MD Software (UK) bought the rights and published it.